I think this has been forwarded me to about 20 bazillion times in 2 hours, and I still can’t get enough of it. So this is as good of a video to start the week as any. There’s a line early on where the main character is told ‘You’re black, but you’re like, Will Smith black.’ It’s a funny line but it also speaks to one of the main things I like about the film in general: it continues to open up the paradigm of what black filmmakers show to the masses (as usual, black musicians have been a little more free to work ‘outside the box’ for a little bit longer). And of course, that’s not meant as disrespect to anyone who’s come before, past or present. But in terms of genre, ALL genres, there’s still so much untapped material. The more voices that get to be heard, the more fully ‘the experience’ is represented. The actors: LaKeith, no actor immediately comes to mind for me to compare him to, which still feels like the best compliment to the arc of his career. There’s a lot of projects he will never be considered for the Lead role, so great call to find the right project where he does get to be number one on the call sheet (and carries the movie well). Conversely, Armie Hammer, based on everything I’ve heard or read, seems like one of the genuine good guys. So it adds a layer of coolness that he’s played into his real life biography of entitlement (real or not) to play these privileged aholes. (Not to mention it’s not hard to imagine a line of name actors around the block who said no to working on the debut films of Nate Parker and Boots Riley). And then there’s Tessa. Off the top of my head over the past couple of years: ‘Westworld,’ ‘Creed’, ‘Thor’… she’s firmly in the Game now. 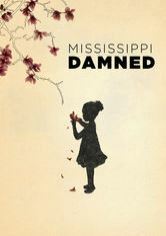 If you go back to the ‘Dear White People’ and ‘Mississippi Damned’ days though, you knew of her way before the franchises were possible. I wasn’t surprised Tessa could play a different type of character as much as I caught myself thinking, ‘Yeah, I guess if you want to work your craft on something like this, you have to step outside the system.’ So, more kudos. Yes, I’ve deliberately avoided talking about the story in depth, because…you really have to see it. I think it’s worth seeing. I don’t think Justin Simien will take any offense to me saying each incarnation of ‘Dear White People’ has been an improvement on the one before it. If you feel the need to play the comparison game, I guess ‘Atlanta’ would be the other choice, but the number of strong individual episodes in this season is absurdly high. The ‘mushrooms’ episode. The ‘abortion’ episode. My actor’s bias has strong feelings for episode 8, which is essentially a one act play for the characters of Sam and Gabe; the amount of personal and political material in that half hour alone is obscene. But my favorite episode of this bunch is the ‘Joelle’ episode. The character is obviously a fan favorite, and the realization/breakdown of ‘the hotep’ was too hilarious and painfully accurate. A ton of good cameos I won’t completely ruin, but I have to say seeing Lena Waithe and Tessa Thompson play against ‘what I was expecting’ was fantastic. For the USC crowd my old classmate Daheli got more screen time this season as the Iyanla Vanzant doppleganger and she makes the most of it. So yes, all the applause. Carve out 10 more half hours of your time for this. If one thing bothered me consistently, it was Idris Elba. Not as an actor or a character, but ‘how is Idris Elba the movie star the sixth wheel in this?’ Having said that, I’m sure one ‘third sequel on a Marvel franchise’ paycheck is equal to ten ‘leading man in movies only film geeks see’ paycheck (and that’s being extremely generous. So it is what it is. For we Adler disciples, seeing Mark Ruffalo inhabit all the best parts of Brando (just becoming the character, even in a popcorn movie) is a joy. And in a time of deconstructing our Hollywood idols, by all accounts he’s a nice guy who is genuine in his social activism. So double cool points. Speaking of people ‘above’ being in movies like this, Cate Blanchett has always been in that tier right behind Meryl Streep in ‘she can play anyone convincingly’, so watching her ham it up for two hours was joyful too. Really, this whole movie was well written and casted. So yeah, all the recommends for this one. So I caught all the warnings, telling me to ‘prepare myself’ before I watched ‘Mississippi Damned.’ Whether it’s my age or my own secrets, I was less shocked than some by the ‘darkness’ of this movie. But I’m incredibly glad it exists; without going off on a tangent, many of the issues brought up in this movie (which, as usual, I don’t want to spoil for you) aren’t talked about nearly enough. Every family has their own issues to deal with, but (as expressed in one of the many powerful scenes in this film), when the older generation doesn’t even want to acknowledge what happened to their children, that’s how cycles continue unchecked. I’ve heard Tina Mabry’s film referenced as the film that put Tessa Thompson on the radar of others. As I’ve come to expect now, she’s great in her role, and in this particular film she’s part of a huge ensemble of solid black actors (some others you’ll recognize as character actors in other things you’ve seen). It certainly isn’t the most ‘Hollywood’ film, but again, it’s a story that doesn’t get told enough. If the ‘democracy of distribution’ that we’re moving further into makes it easier for films like this to get to their target audiences, then I’m all for it. Dear White People is built around four archetypal characters every black person (especially if you went to college) will recognize: Tessa Thompson as the biracial kid who’s metaphorically yelling Black Power louder than most of the ‘fully’ black kids. Tyler James Williams as the (closeted homosexual) kid who’s not quite black enough for the brothers, but too black to hang out with the white folks. Teyonah Parris as the bougie black person who goes a little too far to prove she’s not like ‘those hood black people.’ Brandon P. Bell as the good looking, and polished legacy kid whose every decision is setting himself up to be ‘The Guy’, right on down to the white girlfriend. The jokes come quick and hit the bullseye when the come, especially in the first half. There’s a Gremlins joke that I think is in one of the trailers that’s still funny. There’s a throwaway line that you have to take as a direct reference to Dawn on Mad Men (where Teyonah appears often but doesn’t give her the opportunity to show the range and the sexuality that she does here, and I LOVE Mad Men.) There are other direct and indirect references to Spike in the film. 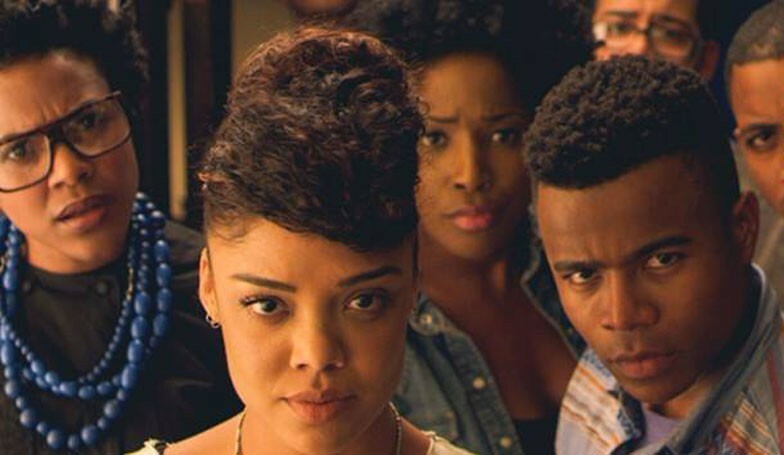 Do I see Dear White People as School Daze 2.0? Yes I do, but that’s by no means an insult. Do I think it’s a perfect film? No. I have nitpicks in the third act and (like a true Spike Lee joint) there were some tone changes and convenient circumstances I didn’t really go all in for. But as a first film? Go back now and watch She’s Gotta Have It. Even Spike has publicly said how much now he hates some of the choices he made with the third act of that film. Look at the progression Ava DuVernay has made I Will Follow to Selma. 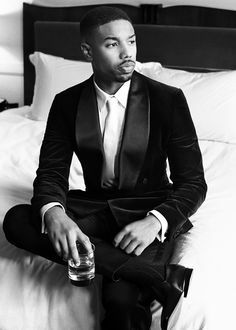 The young brother who directed this film, Justin Simien, he’s clearly got talent and he has a ‘voice’ that’s not what everybody else is doing. I for one, look forward to seeing what he comes up with next.